Being a huge fan of the Elder Scrolls series, I really wanted to see it in action firsthand. Unfortunately, I still had to rely on the video Bethesda had for us. The video showed multiple landscapes which were all varied and beautiful. The fighting looks smooth and for the first time it looks like it’s a viable option to play in third person view. What’s unique about this Elder Scrolls is that you don’t select what class you want to be at the start of the game. Instead of selecting Wizard or Warrior, your character will progress as you see fit. Want to focus on using a sword and board? Just continue to use that while fighting and you will improve with them. Want to blast fireballs from both hands? Simply focus on magic casting spells and you will become stronger with them. Want to be a hybrid character? Use a magic casting ability in one hand to shoot your enemies from a distance and when they get to you, use your sword in your other hand and strike them down. 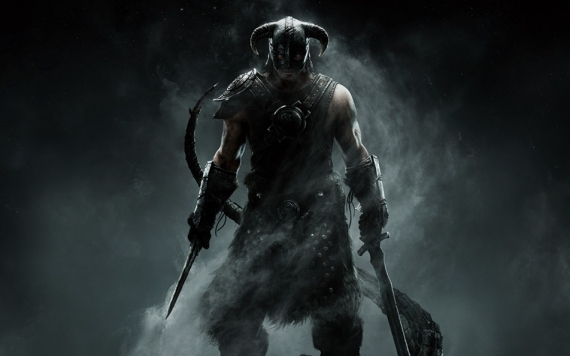 Even though I didn’t get to see a live action demo, I am still looking forward for Elder Scrolls V to drop in November.